Best Summer Sunglasses for Teenage Girls. We all have some undying and unconditional love for specs because they are some way to look gorgeous all the time without even making an effort to do so. Furthermore, specs or in current terms wayfarers work their best to make any outfit classy that we put on and suit everyone because they come in extensive diversity. 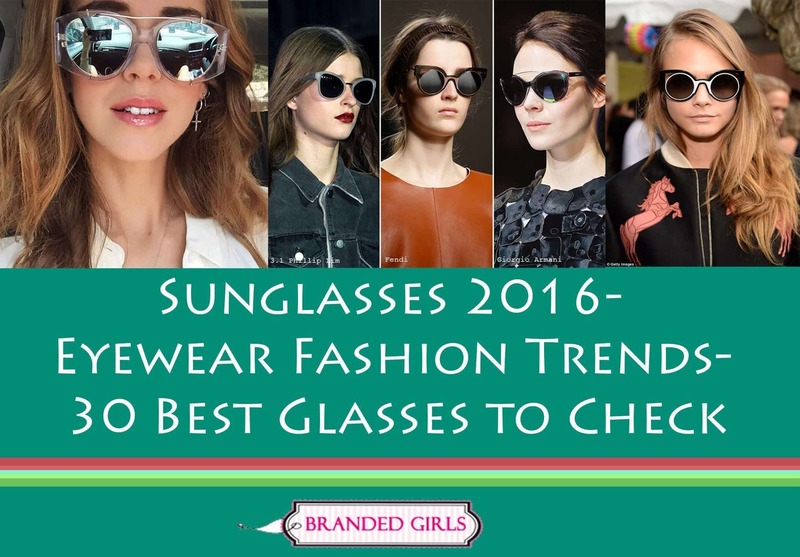 Wayfarers will continue to come in endlessly gorgeous styles and some of them from 2016 are mentioned below. So, have a look. Dior presents blue shaded, mirrored, gold rimmed specs for 2016. And they are the best. This is one of those that even celebrities are obsessed with. Mirrored specs are the new fashion. Channel is to introduce one of the coolest cat eye trend sunglasses and we cannot simply wait. The half-mirrored trend of wayfarers is even cooler and are an absolute source of class, style and beauty. Full-mirrored and silver are our two favorite things in sunglasses and they look undeniably classic and royal. As its cool name indicates, it is an immensely classic piece with true bossiness and chicest style. Louis Vuitton presents the most classic of its accessories to date and we are thrilled about it. And yet another piece of awesomeness by Louis Vuitton – like fashion at its best. The more mirrored your glasses, the fancier they are. And the fancier it is, the more gorgeous you look. Similar to the infinity symbol, it can be said that they are infinitely timeless. Ray ban shaded blackness is one of the coolest black spec ideas and it has already been added into our wish list. One of the best of spec fashion to date with endless style – shaded and mirrored at the same instance. The unusual glamour in these specs is evident of how advanced the accessory fashion has gone. Highly healthful for the eyes and immensely gorgeous. All win win situations and styles. Continuous metal frames are definitely the new kind of cool in the market. And it simply is the chicest of all. Silver smoke frame is everything we know about style, bliss, beauty and gorgeousness. Plus they look stunningly glamorous all the time. Best of both worlds kind of situation and we could not be any further stunned by how dynamically fashion industry is progressing. Round, but utterly classic and sophisticated. Round sunglasses are the new face of fashion. The unusually designed but nevertheless, all very classic and unique. Blue mirrors – are absolute fanciness and bossiness.